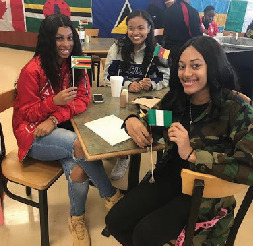 ISO celebrated International Week in the cafe with festive foods and flags that represent GSU’s variety of international studnts. 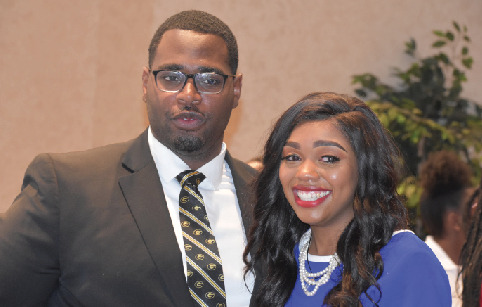 The International Student Organization at Grambling State University is mostly about diverse cultures, and diverse backgrounds coming together in unity and showcasing that culture to the community, the environment and to the school. 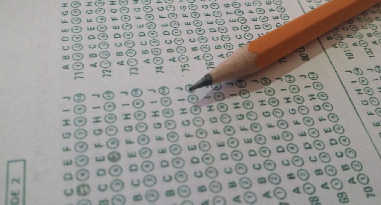 International Week is an annual event held every semester. 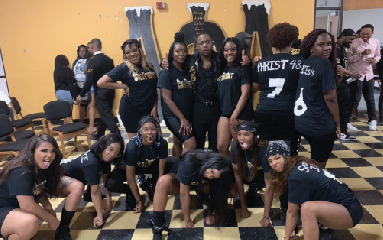 The theme for this semester is “G-mas, Get in Your Section”. 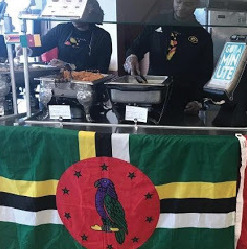 The first event of the International Week took place on Tuesday, April 2 with International Day at the cafeteria, where there was a variety of food available to the campus. The food ranged from curry chicken, rice and beans, jerk chicken, famous African jollof rice and plantains. Diverse international music was also played, including bouyon, soca, African and dancehall. International Day has always been a big hit with local students. People were dancing along to the music, going for seconds of the cuisine and taking a moment to ask about the other events and activities that will be held this week. As for the rest of the International Week, on Wednesday, April 3 the organization held a ‘Color Fete’. The powder party was hosted at the back of Brown Hall where participants receive packets of different colored powder (red, blue, orange, etc.) for use at the ‘fete’ and fun. On Friday, April 5, the organization is hosting a picnic day at Grambling Lake, near the police station, there will be food on sale. 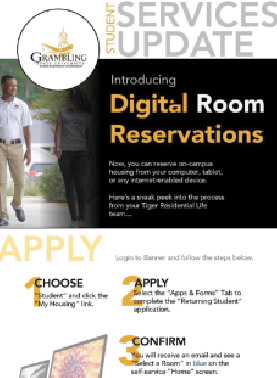 To close off the week of events, on Saturday, April 6 the G-mas Carnival road-march, ISO is inviting students from Louisiana Tech University, Louisiana State University, Midwestern State University and Arkansas State University, as well as Grambling organizations, such as the Delta’s, AKA’s, UAAM, Kappa’s, to join the organization in their celebrations. The Carnival March will truly express the colorful theme for the week, the group has a t-shirt band available, you receive a shirt with the theme logo, a road package and body paint. The event will also include four costume sections, which all students are encouraged to participate in, they include colors such as inferno (red), typhoon (white), tsunami (blue) and terror (green). The G-mas event will take place from 10 a.m. to noon and will be followed by a cook-up of Caribbean style ‘Paleau’. You can follow the updates from the organization IG: ‘gram.iso.students’.